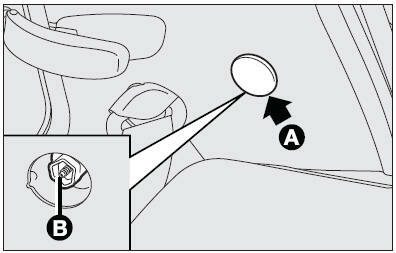 The front light units contain: sidelights, dipped beam, main beam and direction indicator bulbs. IMPORTANT After replacement, refit the covers correctly checking that they are properly secured. 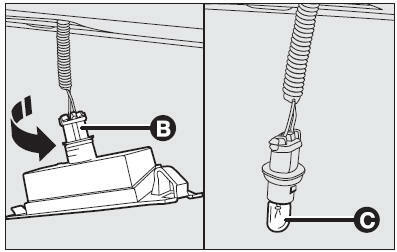 To change the bulb, remove the protective cover (1), release the catch (A) and remove the bulb (B). 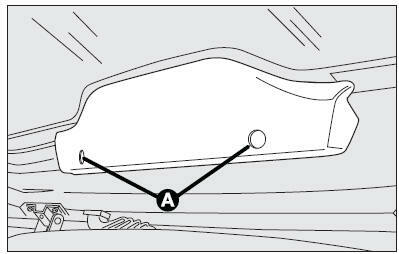 To change the bulb, remove the protective cover (2), release the catch (A) and remove the bulb (B). 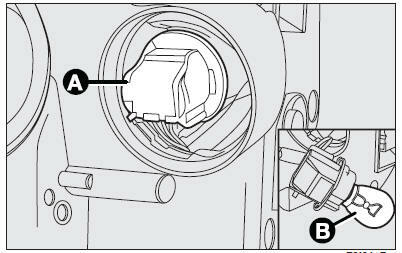 To change the bulb, remove the protective cover (1), remove connector (A) and remove the bulb (B). 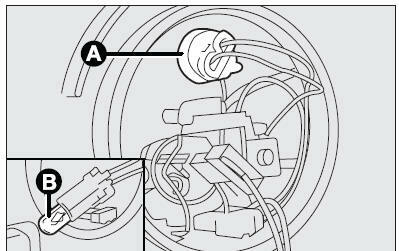 To change the bulb, remove the protective cover (3), turn connector (A) clockwise and remove the bulb (B). 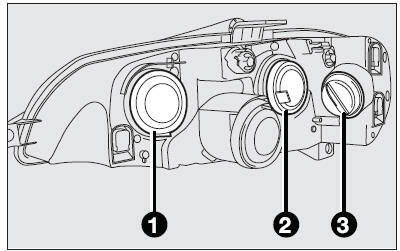 Turn the lens (A) counterclockwise and remove it; then remove the snap-fitted bulb (C). 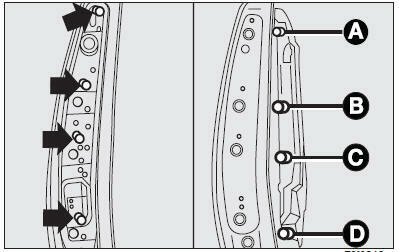 Go to a Fiat Dealership to have bulbs replaced. 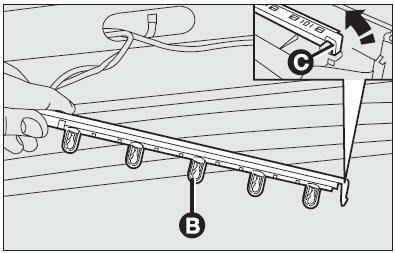 remove the bulbs by pushing them slightly and turning them anticlockwise (bayonet coupling). 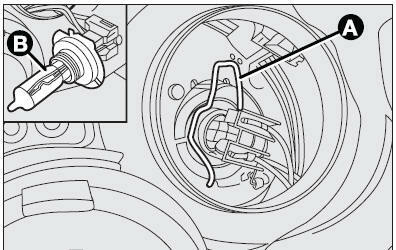 release the clip (B) and open the bulb holder, the remove the bulb (C) to be replaced (clipped in). 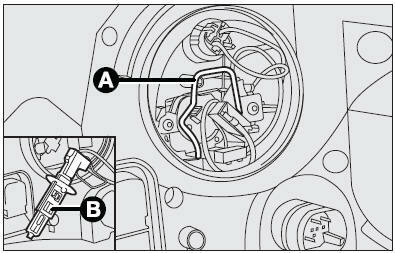 turn the bulb holder (B) anticlockwise and remove the bulb (C).